Roberto Diaz is coming this weekend! Both of these events are free, but you do need tickets, so reserve yours today!! Bob Dylan, Nicolo Amati violas, Cuckoo’s Nest. These are just some of the topics that I covered when I caught up with Atar Arad, this year’s Primrose Memorial Concert guest at BYU. After my 5 years studying with Atar, I was pleasantly surprised to discover some things I’d never known about him. 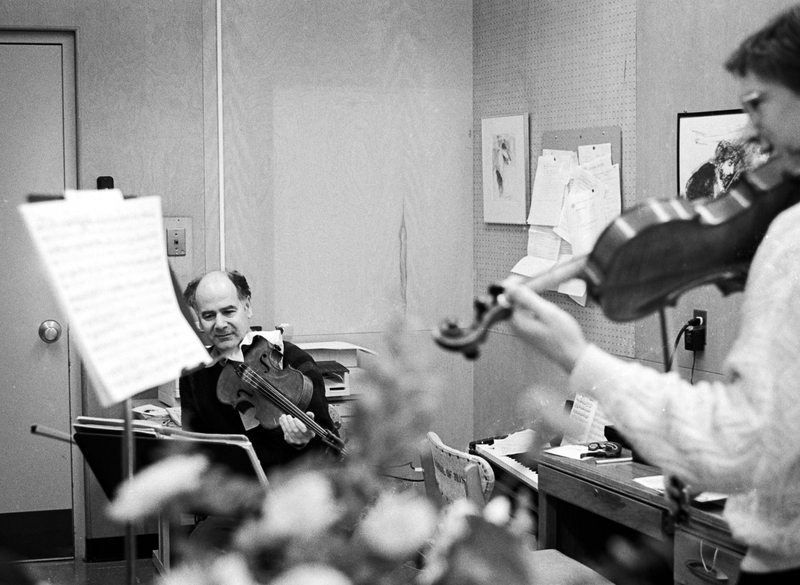 On composing: “I consider myself a “late bloomer.” Even though he always wrote and performed his own cadenzas, (his cadenzas for the Paganini Sonata per la Grand Viola, Hoffmeister and Stamitz concerti are legendary!) 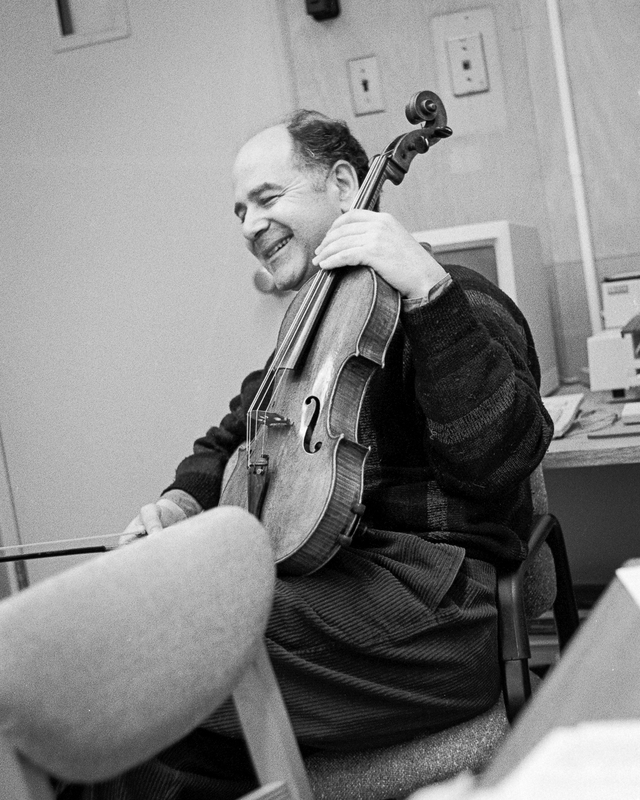 the first piece that he wrote was his Viola Sonata in 1991. Back in those days, students didn’t want early lessons (I’m here to attest to that!) and nobody would come in before 10am. But like most parents, he had to drive his daughters to school early, so he would arrive in his studio with a couple hours to spare before teaching. 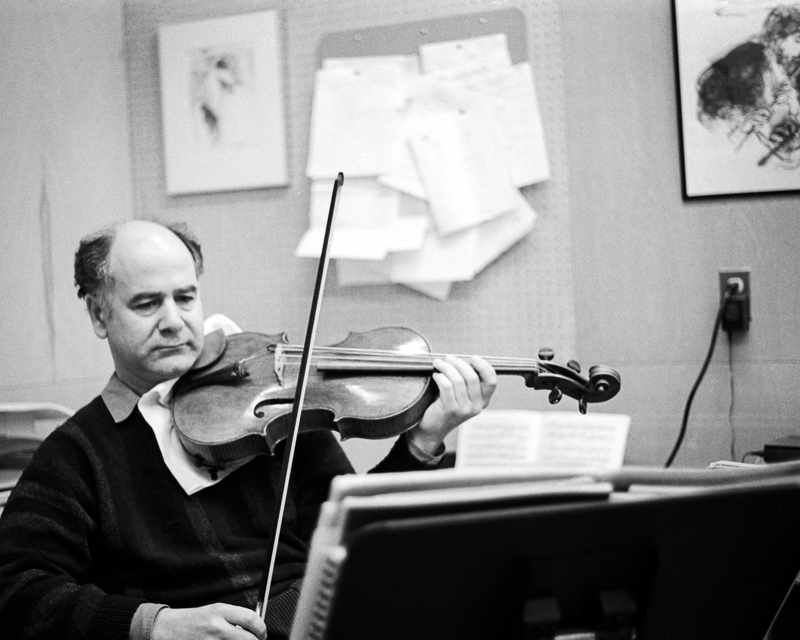 He would pass the time improvising, spending time exploring the possibilities of the viola and eventually decided to put it down on paper. As he began to write, he noticed that he didn’t even touch the viola, he would just write, and it came out “kind of naturally.” This was the beginning of his Viola Sonata. 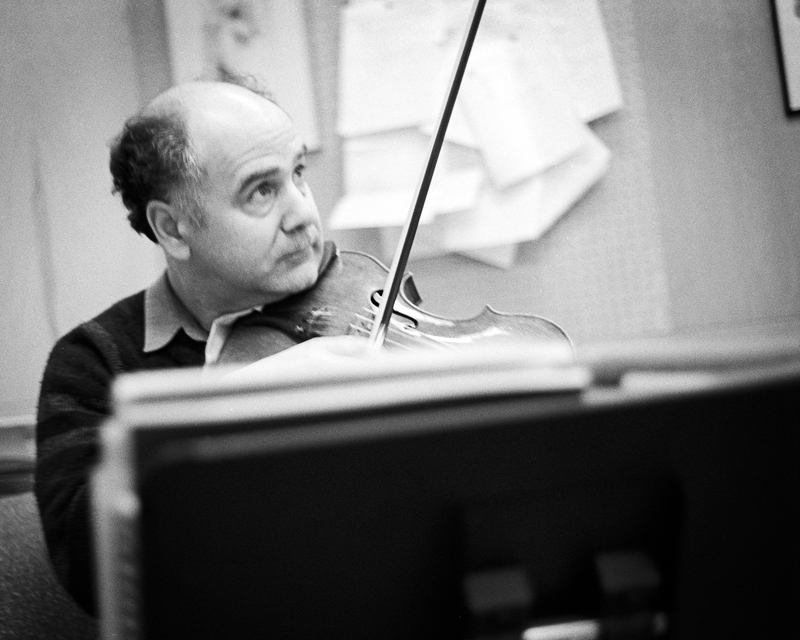 After that, he became more and more serious about composing, taking a sabbatical leave and writing first a String Quartet, then later took a longer sabbatical which resulted in his Viola Concerto. 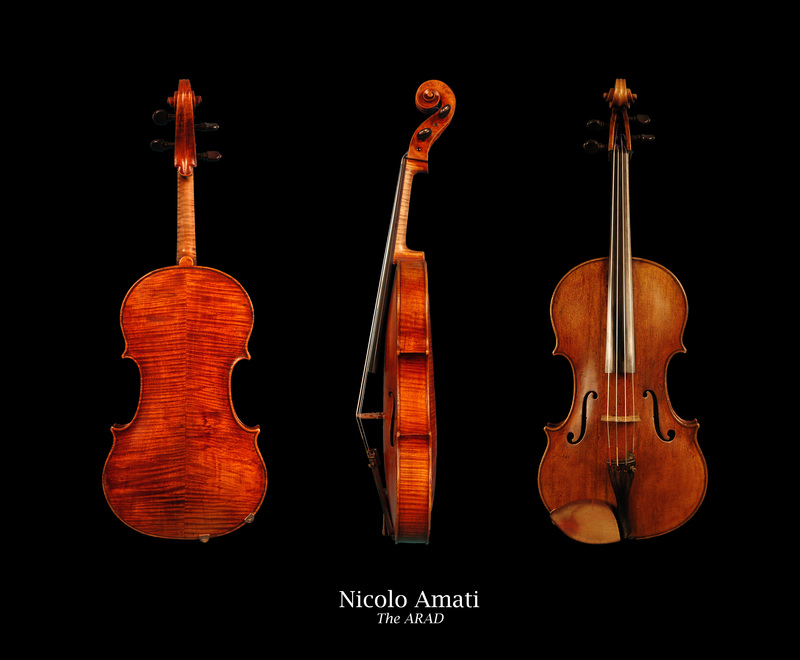 Love at first sight: Just as the first time he played the viola in the quartet he knew it was what he was meant to do, the first time he saw his Nicolo Amati viola in Jacques Francais shop he knew it was meant to be his viola. A couple of years ago there was a festival in Holland celebrating 500 years of Amati instruments, and he was asked to perform. He was asked to submit photographs of his Amati. 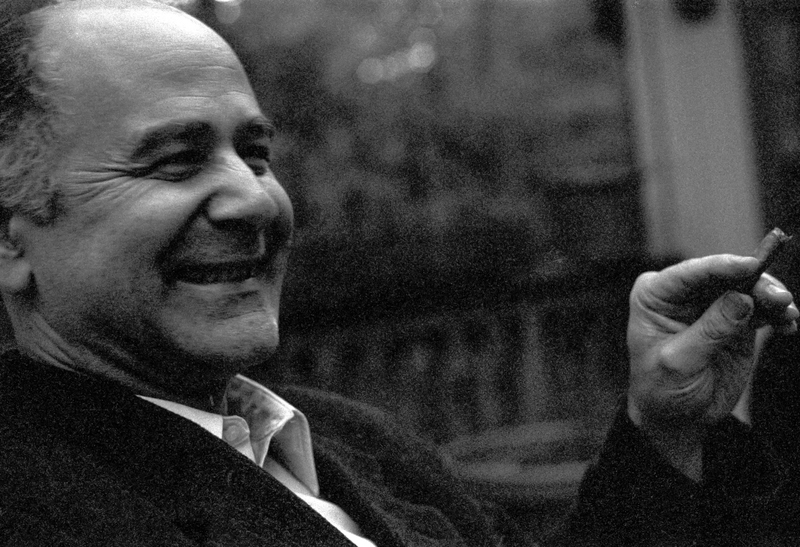 Atar agreed and sent the photos, and since the festival promoter was a friend of his, he wrote the caption, “Nicolo Amati: The Arad” as a joke. Well, evidently the presenters didn’t quite get the joke, because in their program book the photos showed up listing the viola as “The Arad,” and then Strad magazine followed suit and also wrote it up as “The Arad.” With his classic humor Atar wonders if the viola’s new name will make its price go up or down? I had such a great time catching up with Professor Arad, and I can’t wait for you all to get to know him, too. Thank you to Dr. Claudine Bigelow for organizing, and to BYU for sponsoring the Primrose Memorial Concert and all its events, and thank you to the University of Utah for co-sponsoring the Masterclass at the University of Utah. January 24, 7:30pm, Primrose Memorial Recital, Madsen Recital Hall, BYU. 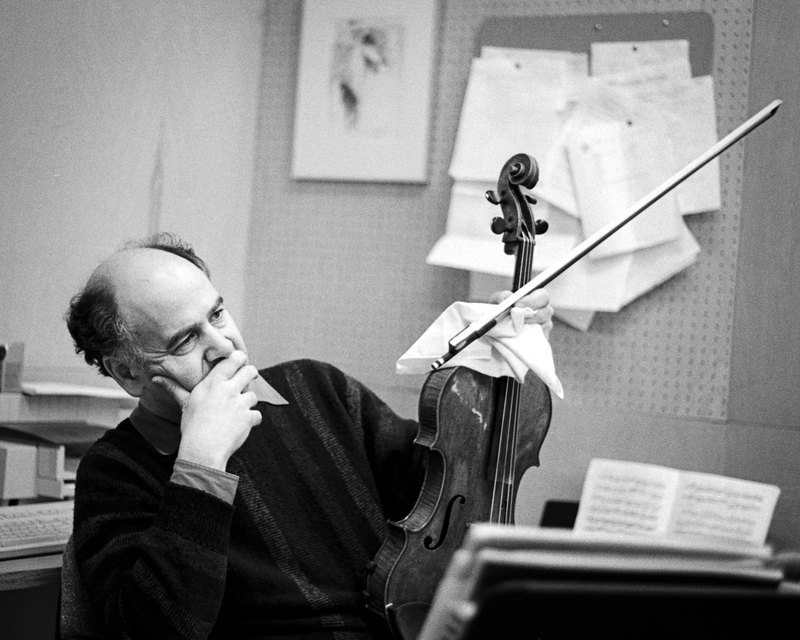 For more listening fun check out Atar Arad’s youtube channel, where you can get a glimpse of his Caprices, hear his amazing Amati viola “The Arad,” and listen to his vintage recordings of the Paganini Sonata and Hoffmeister Concerto, with his legendary cadenzas. Utah Jazz vs. LA CLippers vs. VIOLA??? Wait, what? What does a basketball game have to do with Viola??? I’m so excited to tell you that the viola section of the Utah Symphony will be performing the National Anthem for the Jazz game on January 28!!!! Come see the alto clef rock the Energy Solutions Arena! This might be the best viola month ever! First, Atar Arad is coming for the Primrose Memorial Concert. 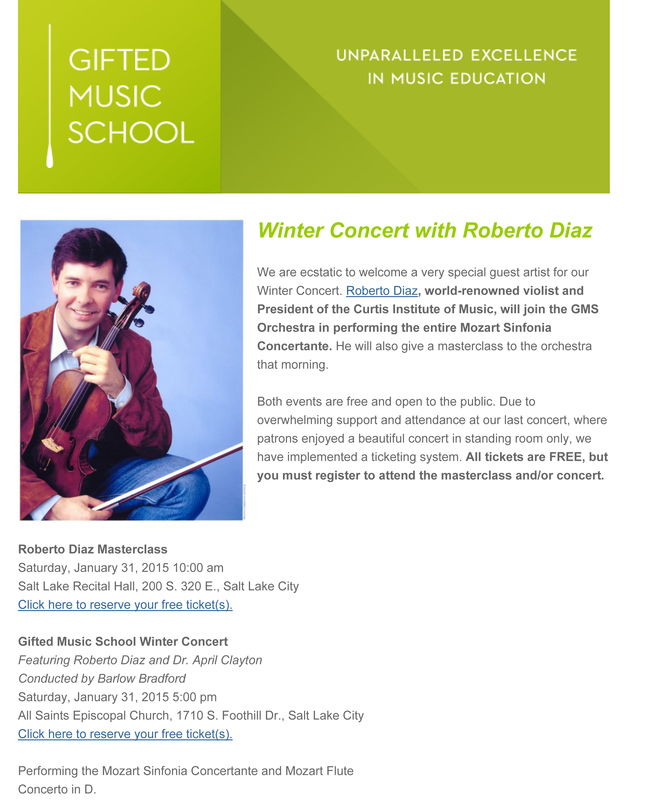 Then Roberto Diaz is coming for the GMS Winter Concert, and we round out the month with the Utah Symphony viola section rocking the Star Spangled Banner at a Jazz Game! We shoot, we score!!! Upcoming viola events-Save the Date(s)! There are lots of viola events coming up this month that you can mark on your calendar. Saturday, January 24 from 10-12, Masterclass at the home of David Dalton in Provo, UT. Saturday January 24 at 7:30pm at the Madsen Recital Hall at BYU. All these events are free and open to the public! These events are free but do require tickets, so get yours in advance so you don’t miss out on this amazing opportunity to hear Roberto Diaz teach and perform. And finally, mark your calendars and Save the Date! the Utah Viola Society is presenting a Member’s Recital on February 22, 3pm. I can’t share all the details, but you will not want to miss it! Primrose Memorial Concert and Bonus Masterclass with Atar Arad! January is going to be an amazing month for us alto clef lovers, stay tuned to this station for more information! The first event is the annual Primrose Memorial Concert at BYU, which is an annual event that celebrates the life and career of William Primrose. 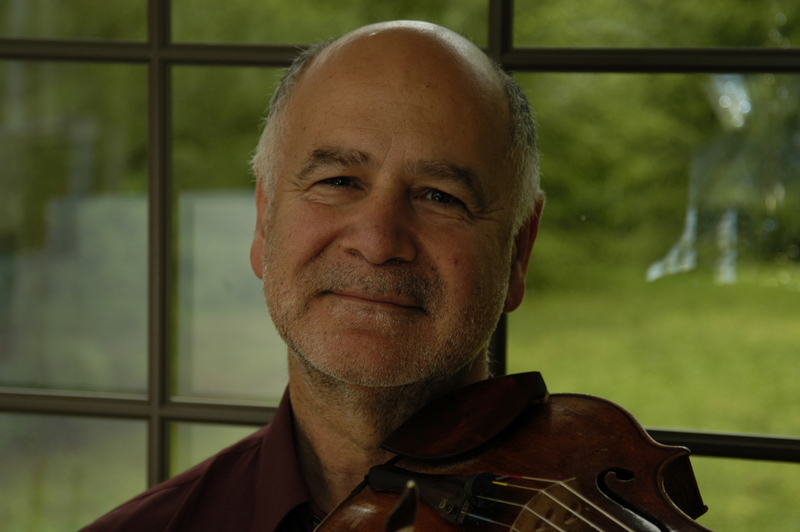 This year’s distinguished violist is one that is near and dear to my heart, Atar Arad. Thanks to BYU and Dr. Claudine Bigelow for bringing Atar Arad out to Utah. Atar Arad is not only one of the world’s most renowned violists, but he’s also a composer and will be performing his own compositions and arrangements at this year’s Primrose Recital. He will be performing his Solo Sonata, his set of Caprices, and his own arrangement of the Bach Chromatic Fantasy, which you can listen to on the youtubes. 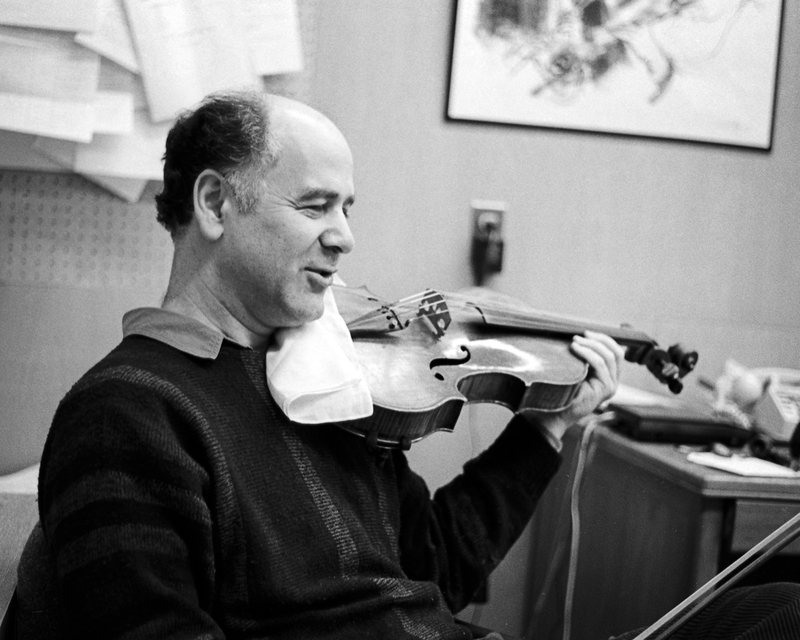 The Utah Viola Society and University of Utah are pleased that Professor Arad will be taking time out of his busy Primrose activities to offer a masterclass at the University of Utah on Friday, January 23 at 4pm. Saturday, January 24, 10:00a-12:00p: Masterclass at the home of David Dalton in Provo. 939 North, 1550 West, Provo, UT. The best part is that these events are all FREE and open to the public! You don’t even have to play viola to get in! Anyone can come!